Not every ad you see on your Android device is annoying. You may actually be interested in an ad or two you come across, but some apps just take things way too far. They bombard you with content you are not even slightly interested in. What can you do? 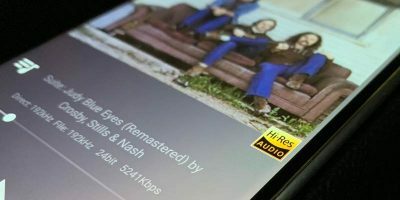 There are Android apps that work to get those ads off your phone. That way you can spend your time looking at what actually interests you. 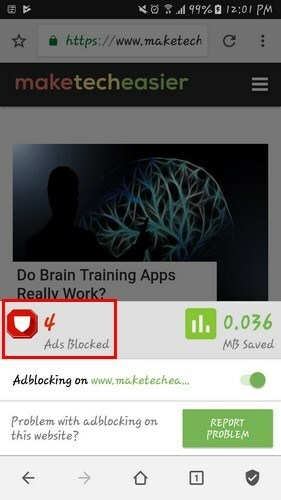 One of the best ad-blocker tools out there, AdGuard is no longer available on the Play Store due to the efficiency with which it blocks ads across your phone (as you probably know, Google doesn’t like people blocking its ads!). 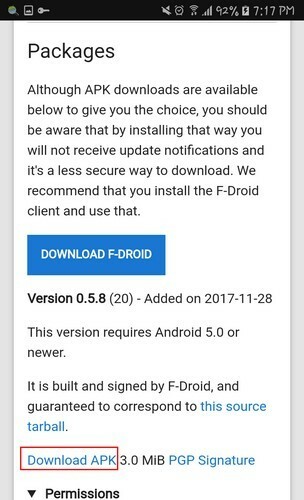 You can find a watered-down version of Adguard on the Play Store, but to get the full version you need to download it from the Adguard website. 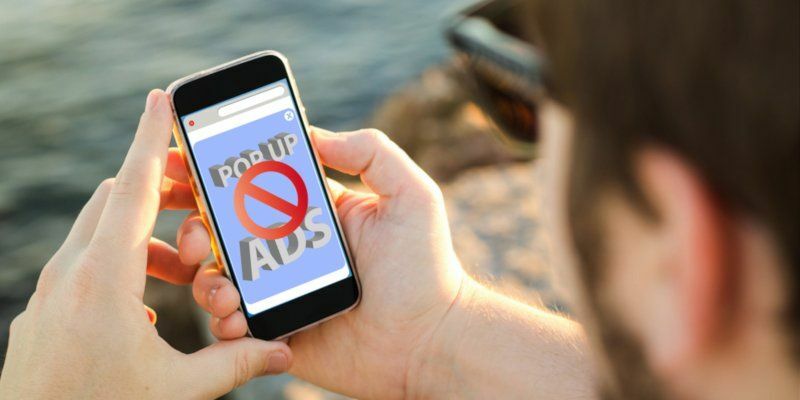 Once you have the full version, you can block ads across your phone, manage the extent to which each app is ad-blocked, and set up filters that give you complete control over adblocking on your device. Free AdBlocker Browser is a completely free and effective ad-blocker. It’s very easy to use since it blocks ads as soon as you start using it. 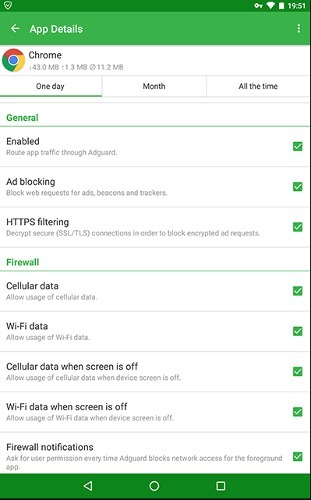 If you want to see for yourself that the browser is blocking ads, tap on the Shield icon, and in the bottom-left corner you can see how many ads the app has blocked. The browser can block banners, video ads, and pop-ups as well. 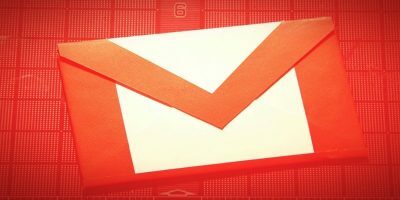 Besides keeping the ads away, it also protects you from dangers such as phishing, malware, viruses, and more. This app is also battery-friendly, so you don’t have to worry battery drainage. Scroll down until you see Pop-ups and select it. Toggle it on, and the button should turn blue. The Ads option is also near the Pop-up option, so you can modify that one as well. To disable the Ads Personalization, go to your device’s Settings -> Google -> Ads and toggle off the option. 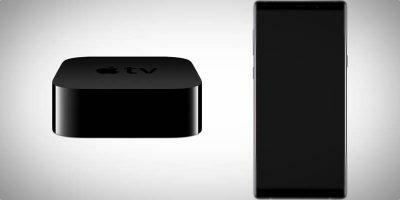 It will be on by default if you haven’t turned it off already. 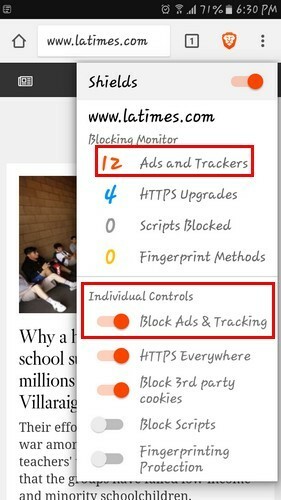 Under Individual Controls you can either enable or disable the “Block Ads & Tracking” feature. As long as you’re there, you can also modify the settings for HTTPS Everywhere, Block 3rd party cookies, Block Scripts, and Fingerprinting Protection. 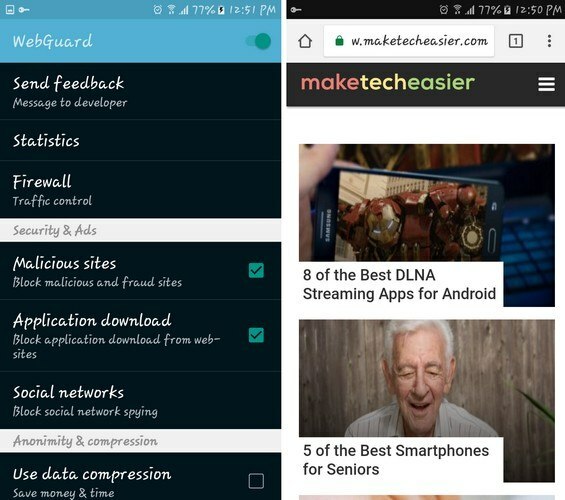 Webguard is an app that will block the ads on the browser you’re currently using. 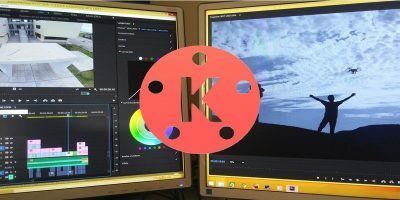 You won’t have to switch to another browser to be able to go ad-free since it worked just fine with Samsung Internet Browser, Firefox, Chrome, etc. 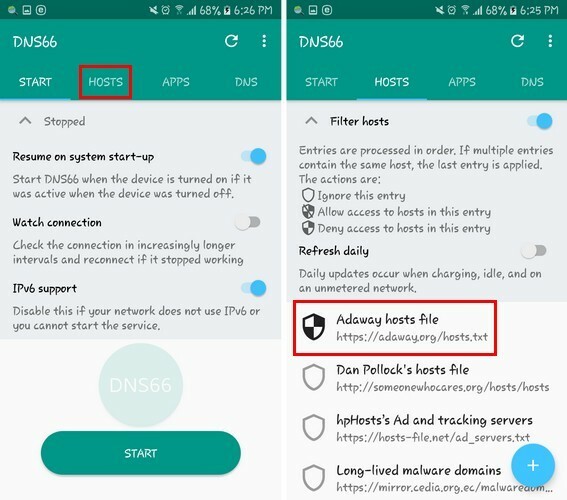 The app also offers other useful features such as providing you with a firewall, data encryption, and virus protection. Root access is not required. 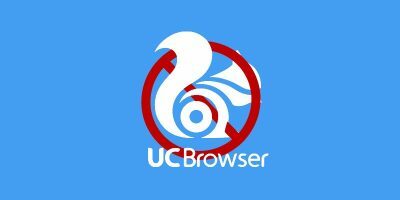 It also has advanced features where you can do things such as block all data from third-party apps and change the mobile browser UA to desktop. The app does warn you that these options are for advanced users. 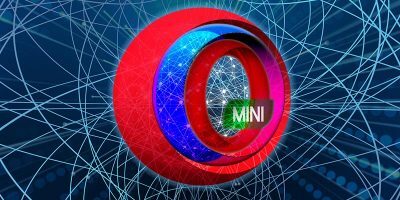 Chrome is obviously the most used browser, but that doesn’t mean the there aren’t users that still use the Samsung Internet browser. 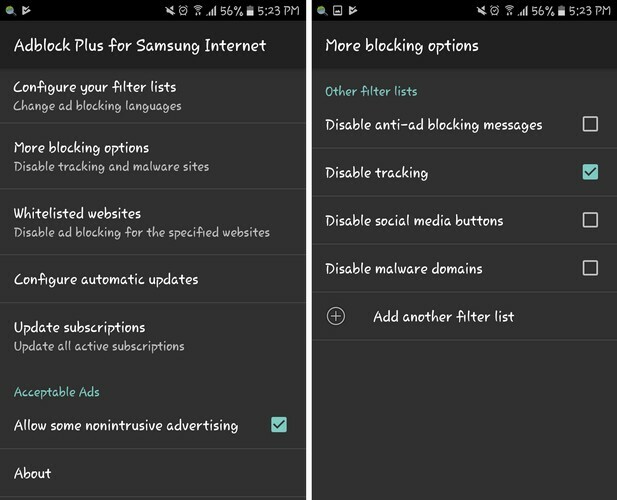 To get rid of ads on that particular browser, you can count on Adblock Plus for Samsung Internet. 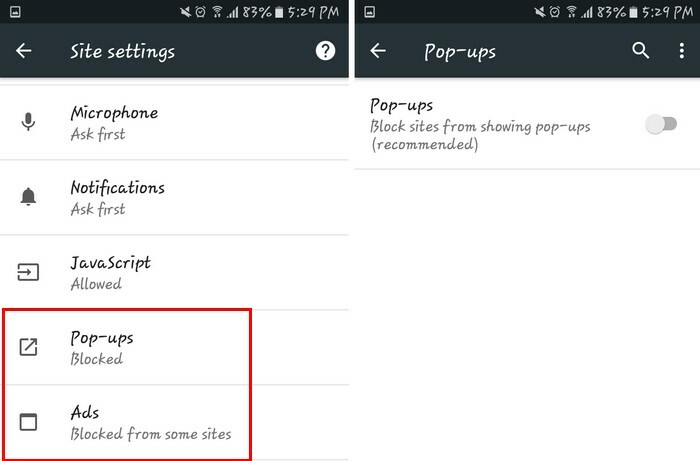 The app will automatically take you to your device’s settings where you’ll need to enable the ad-blocker. If you go into “More blocking” options, you can disable/enable options such as tracking social media buttons and more. At the bottom you’ll also see an option to add another filter list as well. Tap on the shield icon of the option until it looks like the image above. If you see that the shield has a line across it, that means you need to tap again until it fills without the line. Tap on the refresh icon at the top-right and go back to the Start tab. Tap on the Start button at the bottom and tap OK when the pop-up appears. That’s it. 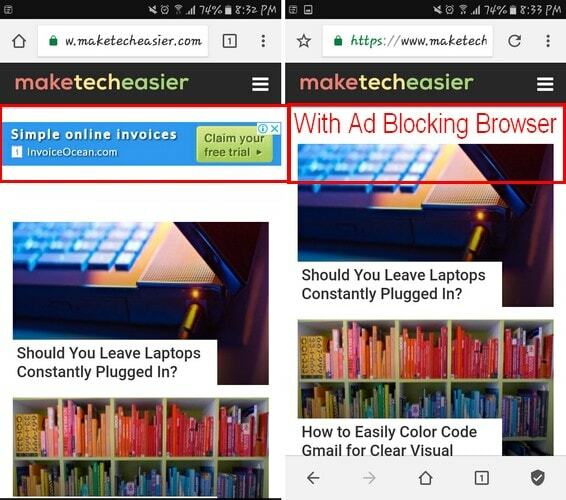 Now when you open any app or site on your favorite browser, you won’t see those annoying ads anymore. Don’t forget to go back into settings and disable unknown sources. Thanks to ads, you can find things you’ve been meaning to buy. Who hasn’t come across at least a few ads they are actually interested in, right? But, there are times when those ads get to be too much. Thanks to these apps, you can finally visit sites without having to look at a single ad. 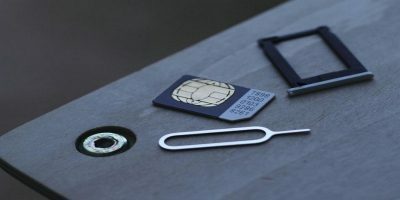 This article was first published in February 2014 and was updated in April 2019.